Would you like to develop the next computing revolution? Your Bachelor of Science (Computer Science) degree at Massey will help turn your love of computing into a brilliant career. Would you like to develop the next computing revolution? Learn how to create computer programs? Find out more about the latest software and hardware development? Have a career doing what you love? Massey’s Bachelor of Science (Computer Science) will give you the skills to become a sought-after ICT professional, able to take on the best of the thousands of jobs that are available. You already know that computers are part of every aspect of our society, from the stock market to modelling climate change to the apps and games we use daily. It’s a varied area that is constantly growing and changing – and those exciting changes are being developed by people like you! The research showed that high demand areas are now software development, business analysis, project management and data/database. These are the key areas of information sciences you can study at Massey. During your study of computer science you will learn about all aspects of computer programming and computer systems, from the theoretical foundations to the very practical aspects of developing the latest software applications. No prior programming skills are required. The Bachelor of Sciences (Computer Science) degree will give you the knowledge and skills to write software for fields such as artificial intelligence, graphics, web-based systems, networks and operating systems. Most of your undergraduate courses will focus on computer programming - the design and creation of software applications that enable computers to be used in all areas of human endeavour. You’ll learn how to write these programs in various programming languages and how to use them in several application areas. Suggested supporting minor subjects for a major in computer science include information technology, mathematics, physics or statistics. Double majors are possible. Note that you can change your major within the degree up until the end of your first year. The Bachelor of Science gives you a broad degree, with a strong background in a range of science subjects such as chemistry, physics and mathematics. Massey also offers the Bachelor of Information Sciences, which combines topics from software engineering, information technology and computer science for students who wish to pursue a career as a computing professional. Massey University’s programme is ranked in the top 400 university computer science and information systems programmes in the world by Quacquarelli Symonds (QS) rankings. 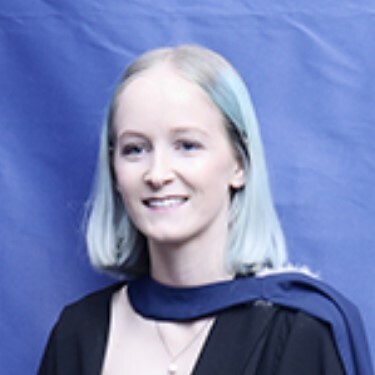 Coming from Rangitoto College to Massey University, I chose to study a Bachelor of Science majoring in Computer Science because I felt that it would provide me with really good job prospects. I also wanted to enjoy what I studied and the variety of courses in the BSc meant I could choose what I was interested in. I was accepted into all of the universities that I applied for but the big draw card for Massey initially was the atmosphere and the halls of residence which are the only five-star hostels in NZ. However, the main factor was the small class sizes and the fact that Massey offered more hands-on opportunities than other universities. Overall, my study experience was great. My lecturers were very skilled and extremely helpful. I found they had a deep understanding of the topics they were teaching and were very passionate. The intimacy of the classes is invaluable and you get to know your lecturers by name, as do they with their students - something you don’t get in many universities. My degree taught me the foundations of programming and how to be able to pick up any language/area efficiently. I find graduates from other universities have been taught a wide range of different skills/languages but have only skimmed over them and do not have an understanding of the fundamental principles behind programming. I find as a Massey graduate I am able to pick up things a lot faster than students from other universities. I work as a Graduate Software Engineer at ASB in the Start Me Up programme. This means I get to do a number of rotations throughout the technology division of the business. After I have finished my 18-month graduate programme I will have the opportunity to work in a permanent role at ASB. Graduates are often fast-tracked into roles it would normally take years to work towards so I would love to be able to move up in the company. I also plan on doing projects in my spare time and one day I hope to start my own business. Computers permeate every aspect of our society, from the stock market to socialising via the Internet, from guiding space shots to helping you choose a colour scheme for a room. The prevalence of computers has provided unprecedented job opportunities in this area worldwide. A BSc or BInfSc with a major in computer science is a preparation for any of these careers. Professional computer users are scientists, engineers and others who spend much of their time working with computers within their chosen professions. The need for people suitably skilled for such positions, with strong supporting studies in computing in addition to their professional discipline has increased in recent years.